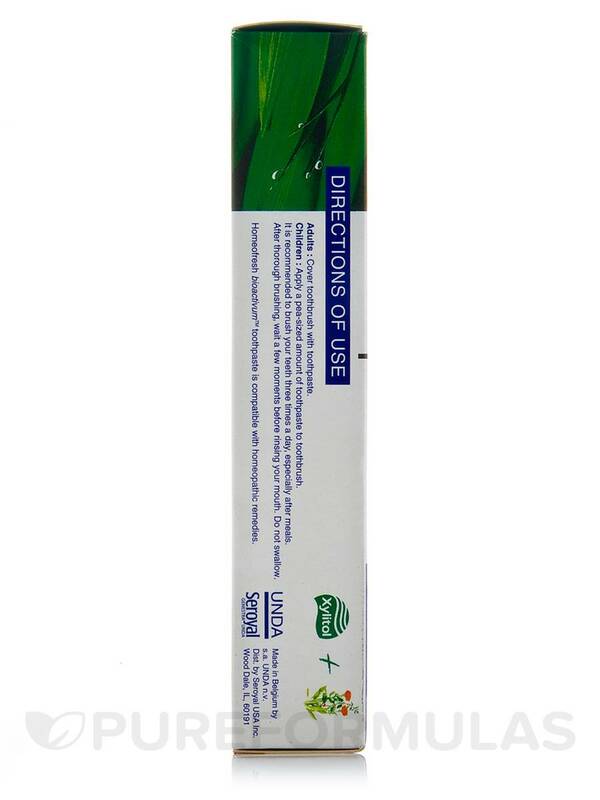 I've been using this toothpaste in the Chlorophyll flavor for years and have really liked it. That flavor gives a very fresh mouth feel, almost like mint, but without the impact on homeopathic remedies. Anise is okay, but not as good. Homeofresh Toothpaste Anise by Seroyal is a constant "re-order" for me. I love this item, the price and the service. To support your teeth and gums‚ the right toothpaste is essential. However‚ you may want to avoid artificial ingredients. 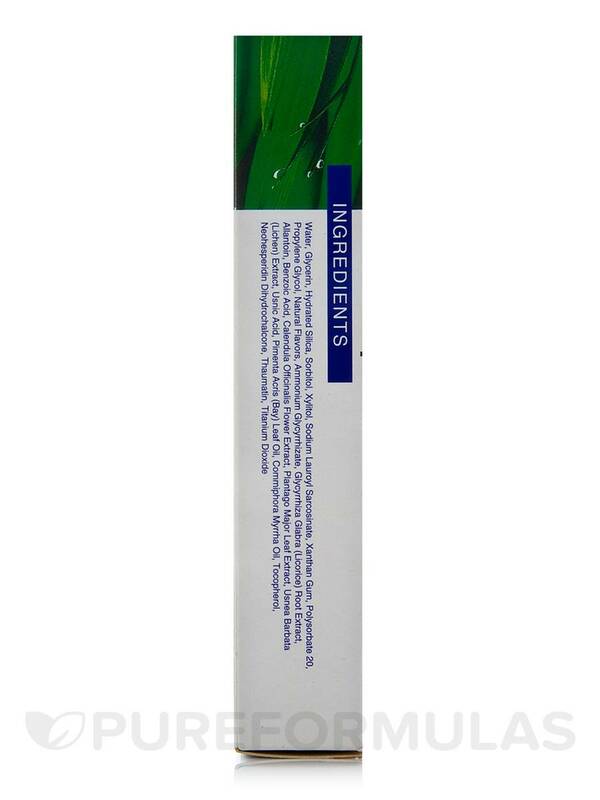 Seroyal’s Homeofresh Toothpaste (Anise Flavor) contains nothing but natural fresh plant extracts like allantoin‚ which comes from comfrey root. Allantoin provides many of the anti-inflammatory effects that may soothe gums. Meanwhile‚ xylitol is a natural sweetener that may inhibit certain cavity-causing bacteria and the formation of plaque‚ while also supporting strong tooth enamel. 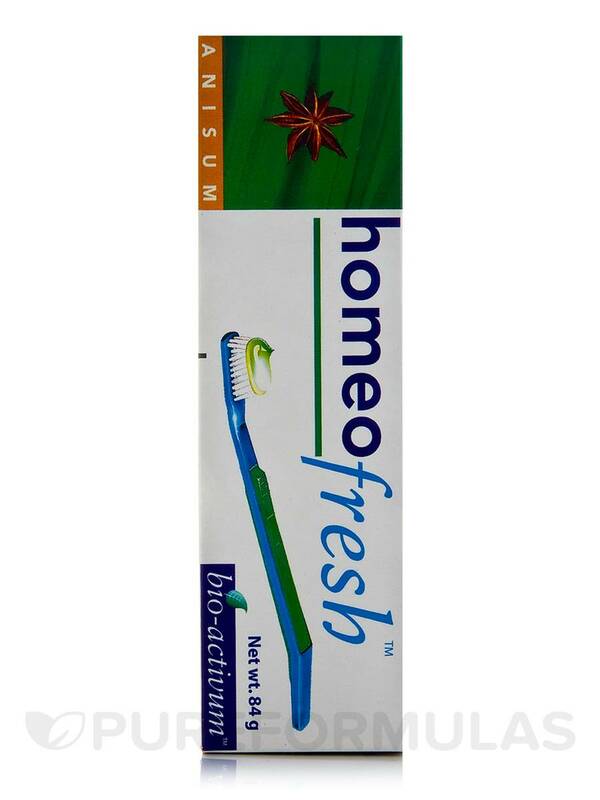 This homeopathic toothpaste supports periodontal health‚ while working to fight off gingivitis. Homeofresh’s use of bioactive ingredients supports the natural oral flora ecosystem while stimulating the growth of new‚ healthy tissues. In addition‚ it’s non-abrasive‚ making it less likely to cause harm to your tooth enamel. 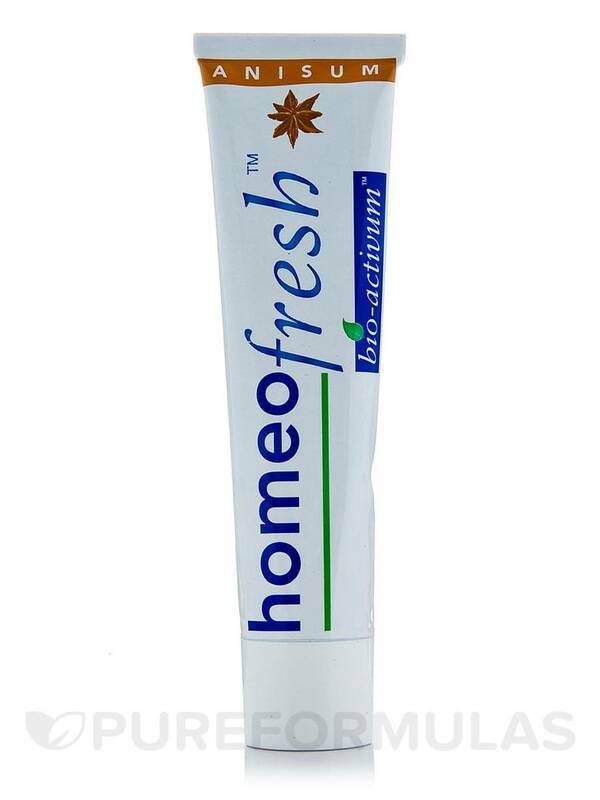 Homeofresh Toothpaste is safe for both adults and children! The anise flavor also gives it a subtle licorice taste‚ while helping your mouth look and smell great. 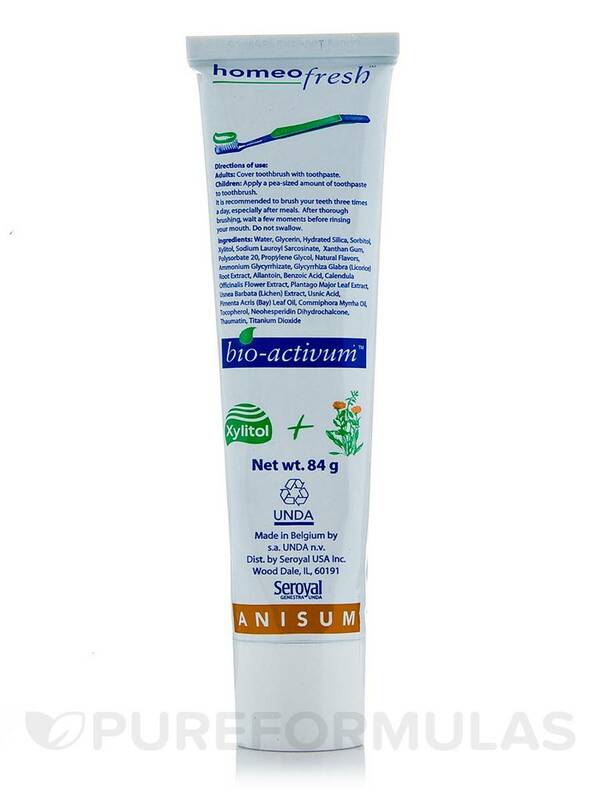 Each tube contains 2.5 ounces; use a pea-sized amount every time you brush your teeth. Homeofresh Toothpaste Anise Flavor by Seroyal is a nice toothpaste though I have personally tried better ones.The anise flavor is unique and very strong. I have always been prone to cavities despite my nutritious diet very limited sweeteners and meticulous care of my teeth. Other &quot;natural&quot; toothpastes have been abrasive and caused my enamel to start wearing off. Homefresh is now the only toothpaste I trust. It gently cleans my teeth. I have no plaque or tartar when I go to the dentist for cleanings. I even have my kids use it because I know how safe it is for them internally and on their teeth. My only two complaints (and why I took away 1 star): 1. It is expensive for toothpaste especially for kids who use too much. 2. The tube is not kid-friendly and it cracks thus wasting some of the product that squirts through the holes on the sides. My daughter (age 6) likes the Anise flavor the best.